Regardless of the season, a mountain destination is a ideal for a honeymoon. Whether you enjoy the landscape while you relax at the hotel or hike through it’s rugged terrain, whether you want to ski or explore the local towns, shopping or actually climbing a mountain…there is something for everyone! Along with the beauty of the mountains, there are waterfalls, rain forests and other natural wonders to soak in…(Wilson; 2013). Spend your honeymoon at Lesotho’s largest national park. This park mainly consists of rugged terrain, with rare woodland plants. 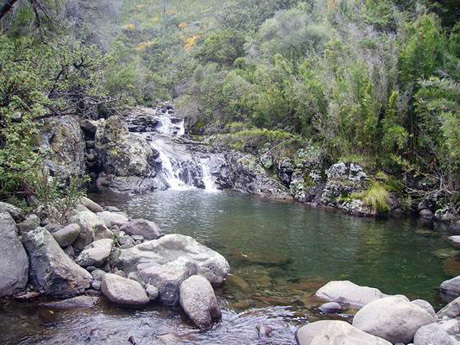 You can also take a 39 km hike through this park, which is quite challenging and can be arranged with a guide. Pony treks are also quite common in this park. 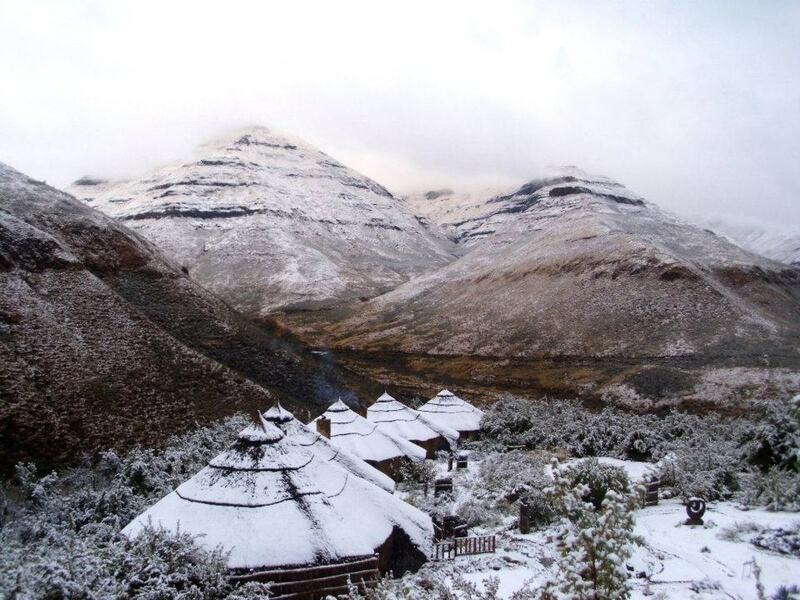 The mountains that are nearby this park are the Maluti Mountains, which reach up to 3,400 m high. These mountains include Thabana Ntlenyana, the highest peak in Africa south of Kilimanjaro(Wilson; 2013). 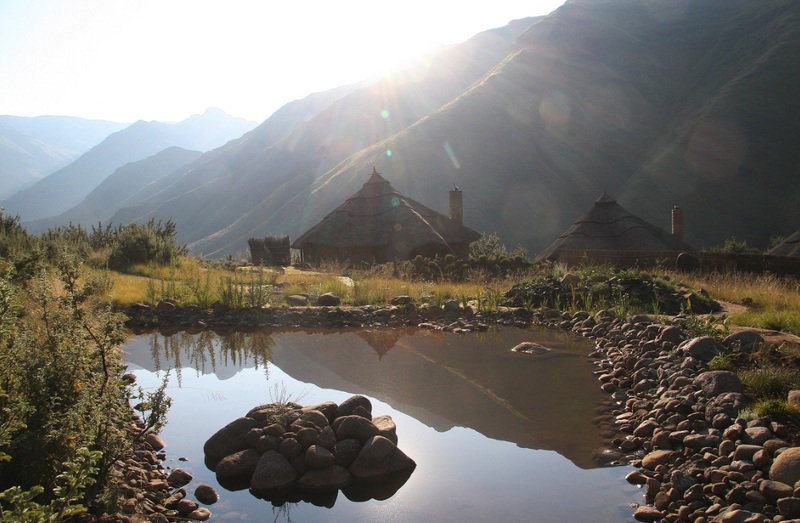 Stay in the Maliba Lodge, one of the most elegant accommodations in Lesotho! You can choose between a 5 star chalet and a 3 star River Lodge. 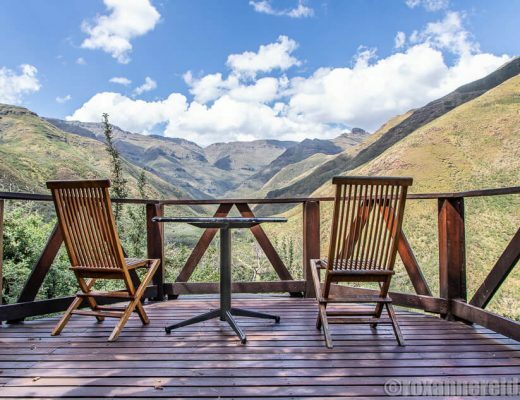 The chalets have personal verandas, TV and DVD players, views of the Maluti Mountains, big baths and large beds. The River Lodges feature a kitchen, BBQ, upstairs veranda, and two bathrooms. They also offer a spa with incredible massage therapies(Wilson; 2013). Visit one of the best skiing resorts and tourist destinations in Switzerland for a great mountain honeymoon destination! There are 10 chalet villages in this region. The mountains that are nearby this region are the Bernese and Vaudoise Alps. From the tops of these surrounding mountains, you can see a panoramic view of Simmental and the Saanen Valleys and other mountains such as Mont Blanc and the Matterhorn. Activities of Gstaad include hiking, skiing, visiting neighboring towns by the Golden Pass train, hot air balloon rides, sightseeing and shopping. There are also numerous sporting and music events that take place in Gstaad such as Tennis Suisse Open, Hublot Polo Cup, and the Menuhin Festival(Wilson; 2013). We advise you to stay in the Palace Hotel during your honeymoon. There are three different types of rooms in this five star hotel: the Classic, with Swiss mountain style charm; the Superior, with garden and Alpine views, and the Deluxe, with personal terraces and large bathtubs. Their suites are situated at the top, with an overlooking view of the town and spacious accommodations. The Palace also offers a spa, with multiple benefits, such as a Hammam, body treatments, swimming pools, fitness exercises and massages(Wilson; 2013). This Californian coastline region is a favorite destination among tourists because of the incredible views. It is nearby the Santa Lucia mountain range, which is one of the biggest areas without roads in the United States. The mountain, Cone Peak, is the tallest mountain in the 48 attached states, reaching about 5,155 feet above sea level. Other features of this region are the redwood forests, waterfalls and canyons that have all been formed due to the unique layout of the mountain range. This area is also full of history that would be interesting to look into, from the Gold Rush to the Spanish Exploration(Wilson; 2013). Check out the Post Ranch Inn while you and your spouse are in Big Sur. There are 39 rooms, in a range of different styles with different views. Some of their suites, such as the Pacific View Suites, have a spa tub and a hot tub along with a private deck. They also offer a honeymoon package, with a variation in length from 2 to 5 nights, which comes with different benefits, such as couples massages, luxurious meals, and exceptional service. The Post Ranch Inn provides two heated infinity spas, activities such as stargazing, hiking and touring the chef’s garden, a library and a host of other amenities(Wilson; 2013). Cairns is in front of a section of the Great Barrier Reef that comes pretty close to the shore, making it easier to view. However, Cairns offers much more than beautiful beaches; it has majestic mountains as well. The mountains of Cairns are mostly home to rainforests, which you can tour in a variety of fashions. For example, you and your spouse can take a cable car above the forests to the small village of Kuranda. On this journey, you will see the memorable aerial view of the mountains and their many waterfalls. Other attractions of Cairns include the World Heritage Site of Australia’s Tropical Rainforests(Wilson; 2013). We recommend the Misty Mountains Tropical Rainforest Retreat for you and your spouse to stay in while you are visiting Cairns. This hotel is about 40 minutes from Cairns, and is a five star hotel. The interesting aspect to this hotel is that only one couple is hosted at a time, to guarantee privacy. You are treated to numerous services, such as a personal helipad, gourmet kitchen, pool, outdoor swing, and luxurious room amenities. It is located within an ideal distance of the Great Barrier Reef and other outdoor activities(Wilson; 2013). The town of Bansko is situated at the bottom of the Pirin Mountains of Bulgaria. The tallest of these mountains reaches almost up to 3,000 meters high, and they are the second tallest mountains in Bulgaria. The highest mountains are the Rila Mountains, which are to the north of the Pirin Mountains and are only slightly separated from them. In Bansko, you will be provided with an opportune view of these often snow-clad mountains. Other activities of Bansko include skiing, snowboarding, cycling, and paintball! There are also a variety of much-loved restaurants that you will be able to sample (Wilson; 2013). Try the Premier Luxury Mountain Resort for your honeymoon hotel! This hotel has 5 stars, with a standard collection of suites and a premium selection of suites. Most suites include a balcony or terrace, TV’s, air conditioning and a mini-bar. Other more general facilities of the hotel are a Turkish bath, spa, Jacuzzi, and both an indoor and an outdoor swimming pool. Be sure to check out their romance package, which offers breakfast in bed, a dinner for two, chocolates and champagne, and discounts on spa treatments (Wilson; 2013). One of the highest mountains in this province is the Doi Mae Tho, which is the highest point of the Khun Tan Range. The ranges that surround this region are the Khun Tan Range, Phi Pan Nam Range and the Daen Lao Range. The most important hill in the region is said to be the Doi Tung, or literally, “flag hill.” This province also holds more than just mountains; it also features cultural sites and activities, such as Buddhist temples, museums, art galleries, golf courses, waterfalls and more. Here, you will be able to experience the best culture Thailand has to offer while gazing at or exploring their phenomenal mountains (Wilson; 2013)! Check out the Katiliya Mountain Resort and Spa for your honeymoon stay. This resort is located nearby the city of Chiang Rai, and provides easy access to other neighboring cities such as Mae Sai and Doi Mae Salong. The resort is made up of many suites in different styles, such as Mountain Suites, Katiliya Suites or Superior Suites. Their facilities are luxurious with a Jacuzzi, large outdoor pool, DVD library, book/computer library, karaoke center, fitness center and restaurant (Wilson; 2013). This mountain-lover honeymoon destination has the highest elevation of all ski resorts in Europe and is one of the largest ski resorts in the world! It is located in the valley of Savoy, which is in the French Alps. There are many connected ski areas in this region, providing many opportunities to view the different landscapes of these French mountains. In Val Thorens, there are also a host of other activities that you can enjoy during your stay like sporting activities, spas, concerts, cinemas, nightclubs, and La Folie Douce- La Fruitière, which is the open air social center of Val Thorens (Wilson; 2013). The Altapura Hotel is a five star hotel located in Val Thorens. They offer 72 rooms and 6 suites decorated with uninterrupted sights of the Alps. A benefit of this hotel is that it offers free ski passes during your stay. They also provide a Mac mini for you to use with your TV, mini-bar, nonsmoking rooms and spacious quarters. Their spa provides “mountain therapy,” including a Jacuzzi, Sauna, Hammam, and even a fountain of crushed ice (Wilson; 2013). What better place for a honeymoon than the longest mountain range in the world? The Andes is close to 7,000 km long and transverses 7 South American countries. It also holds the ranking of the second highest mountain range in the world. The Andes is also famous for its many volcanoes and ruins of ancient civilizations. Portillo is one ski resort that is in the Andes, and is nearby the larger city of Los Andes. Some must-sees in Los Andes are the wineries, such as the Vina San Esteban, the Archaeological Museum, and the marvelous architecture of the old cathedrals and churches (Wilson; 2013). Try the Ski Portillo Resort while you are viewing the Andes. There are many different options for accommodations, such as chalets, hotel rooms, suites, and apartments. The suites all provide king beds, living rooms and clear views of the Laguna del Inca from the personal balconies. This resort is expansive, featuring a range of hotel activities such as a fitness center, full gymnasium, beauty salon, spa, cinema, internet area, wellness centers, game centers and more (Wilson; 2013). Travel to the “Valley of the Sun,” or the Salt River Valley to visit the city of Scottsdale. The mountain range that is beside Scottsdale is the McDowell Mountain Range. This range hosts some well-known landmarks such as Tom’s Thumb and Pinnacle Peak. The highest peak in the range is called the East End peak, which reaches up to 4,057 feet. Scottsdale is also known for its fantastic city events, culture and opportunities, such as its art shows, performances, museums, and native trails. In downtown Scottsdale, be sure to visit the Fashion Square, Civic Center Park, Scottsdale Stadium, and last but not least, the Sugar Bowl Icecream Parlor (Wilson; 2013) . The Sanctuary Camelback Mountain Resort & Spa is an ideal resort in which to spend your honeymoon. This boutique resort displays an impressive location with beautiful accommodations and top-notch service. You and your spouse will be able to stay in one of their mountain or spa casitas or one of the large private estate homes. Their spa is modeled after Asian spas, and offers many chances for relaxations. Another benefit of this resort is their incredible food, prepared by an award-winning chef (Wilson; 2013) . Experience this Caribbean Island for a dream mountain honeymoon destination! Here in St. Lucia, you have the privilege of being able to explore both mountains and beaches. There are two main peaks in St. Lucia, called the Pitons, which are 2,000 feet above the sandy sea level. These mountains add to the topography of St. Lucia by creating rainforests, and as a result, varying the environment of the island as a whole. The higher of the two, called the Gros Piton, offers a challenging climb with a professional guide. Other highlights of St. Lucia include the white beaches, clear water, the blended cuisine, a drive-in volcano and other historical sites (Wilson; 2013). We recommend the Jade Mountain Resort for your honeymoon stay in St. Lucia. This hotel enjoys a phenomenal view of both mountains and the exquisite Caribbean scenery. A high number of their rooms provide personal and specially designed infinity pools for your enjoyment while some others have Jacuzzis. All of their rooms are technology free, unless you request Wifi, in order to preserve peace in the atmosphere. Also, almost all the rooms have their fourth walls open, to allow you and your spouse to further enjoy the view (Wilson; 2013).